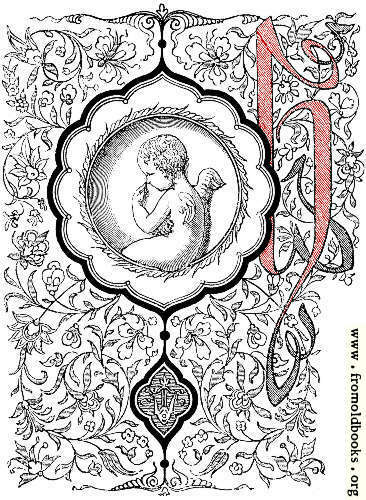 This elaborate initial letter “h” was used as an 18-line drop cap, or as a left border with an embedded initial. 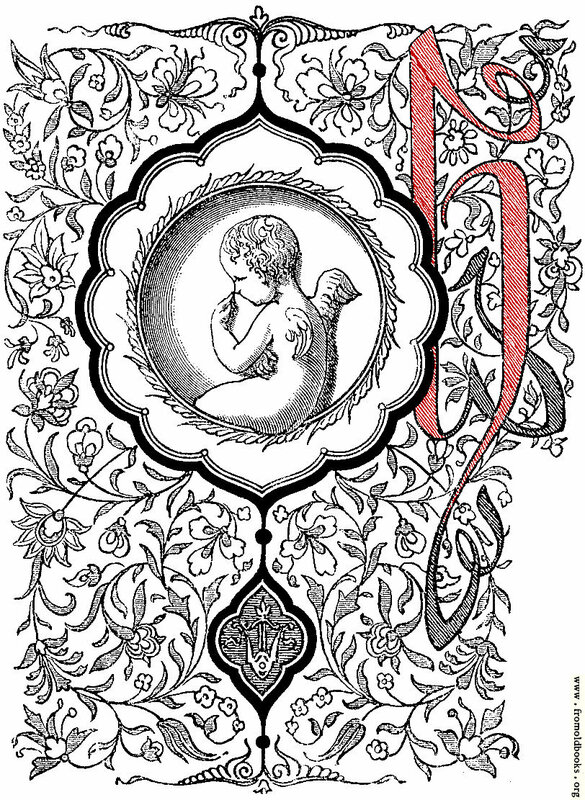 I have coloured the h red (or pink) to make it clearer. 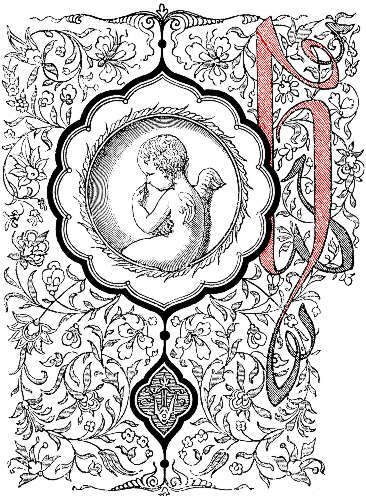 The initial is vignetted, with floral borders (floriate, or floriated) and an Arabic-style cartouche containing a cherub, a winged boy, who seems to be thumbing or touching his nose.